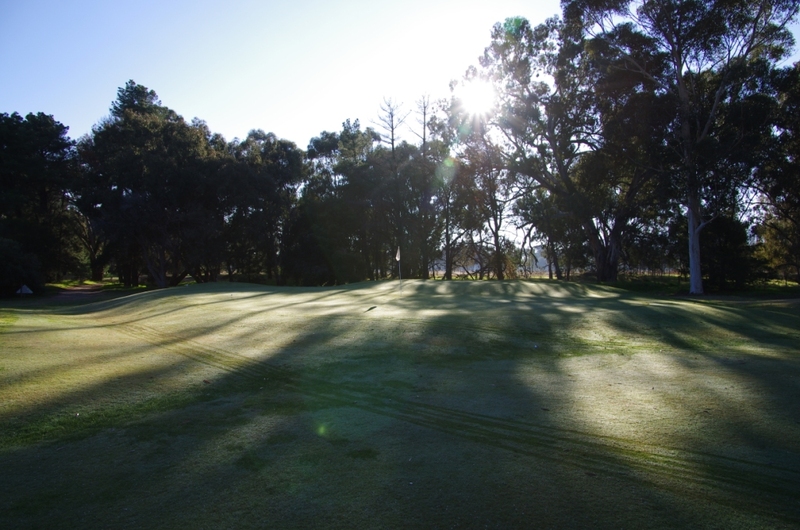 The Euroa Golf Club has long been recognised for its true running quality bent-grass greens. These along with an excellent layout designed by professional golf course architect, Vern Morecambe in 1948, create an inviting challenge to golfers of all levels. Mr Morcombe is recognised for his golf course design achievements, such as Kingston Heath. Golf commenced in Euroa in 1908 and after a couple of relocations members of the time chose the present site for the existing club. The par 72 course is set in an attractive native rural environment with gentle undulations and challenging dog-leg holes. A further feature of the layout is a water course which regularly comes into play, enhancing the pleasant surrounds and challenging the wayward golfer. A variety of birds are always present and kangaroos appear from time to time. With many parts of rural Victoria suffering from the drought we have recently been fortunate to obtain recycled water for the course. With this being available the club has undertaken a program to install a fully automated watering system. This work, completed totally on a voluntary basis by members, has transformed our course from a virtual dust bowl in summer to a lush well grassed one. The 2nd hole, 340 mtrs par 4 with a sharp left hand dog-leg requires your drive to be well placed in order to be able to approach the green with your second shot. The 4th hole, 380 mtrs par 4 invites big hitters to take on low trees at the apex of the left hand dog-leg. The 7th hole, 334 mtrs par 4 is an interesting undulating native tree-lined hole. The left side of the fairway has a natural water course coming into play whilst the right side of the green is protected by a massive Red Gum. The 9th hole, 343 mtrs par 4 is a dog-leg to the right protected by some wonderful Lemon Scented Gums. Again, it is important to have your drive well placed for your approach shot to a raised green. If you overshoot or go to the right you will encounter a challenge. A natural water course winds across the 11th and 12th fairways and you will find trees in awkward positions on the 12th and 13th. The 15th is a challenging 210 metre par 3. The course has five par 5’s, eight par 4’s and five par 3’s. We encourage you to come and play our lovely course.